When I first told my mum I'd been swishing oil around my mouth each morning she gave me a look that suggested I might be crazy, you know the one, well, that was over a year ago now and it's still the weirdest healthy thing I do. Don't get me wrong, at first even I was disgusted, what the hell am I doing was a question I thought to myself every single day for the first week. But then my teeth got a little whiter and I was like, okay, maybe we're onto something here. The first time didn't go so well at all. I read you just put a spoonful of coconut oil in your mouth, chew it until it melts and then swish. Sounds simple, feels horrendous. Chewing oil?! NOPE. I had to spit it out almost immediately as it made me gag. Gross. The next day I put the jar in a bowl of hot water to melt before I started and that was SO much better. The oily sensation is weird, but the coconut taste isn't too bad and after a minute you can't taste it at all, you only know it's coconut again when the 20 minutes are up and you spit it out, must be the air or something. Swish some water around, give your teeth a brush just like normal and bam, your mouth will never have felt cleaner. Seriously, them pearly whites will feel so smooth and your breath will be beautiful for hours and hours. Melting the entire jar every day in colder weather is super impractical so I started putting the oil in a little silicone cupcake case and melting it in the microwave for 10 seconds. This was easier at first but I hate washing up and those silicone cases were the worst and would still be greasy three washes later. Fast forward to now and I have the easiest method ever, I just hold my spoon of oil over the steam coming from the kettle and it melts in seconds. Sure you have to be careful to not let the spoon touch your lips as it's hella hot but it works, so I can't complain. There are a lot claims whizzing around about oil pulling, most of them I don't believe at all, but it does help whiten teeth, I have proof of that one. It also reduces bacteria and plaque build up in the mouth, reduces bad breath and inflammation of the gums too. One significant improvement I found was for my sensitive teeth, I have noticed a big reduction in pain and when I forget or cant be bothered to oil pull for a few weeks it starts to come back. This is the oil I use, a jar lasts me a good 4-5 months as I only really use it for oil pulling and the odd bit of cooking, so it's pretty good value! 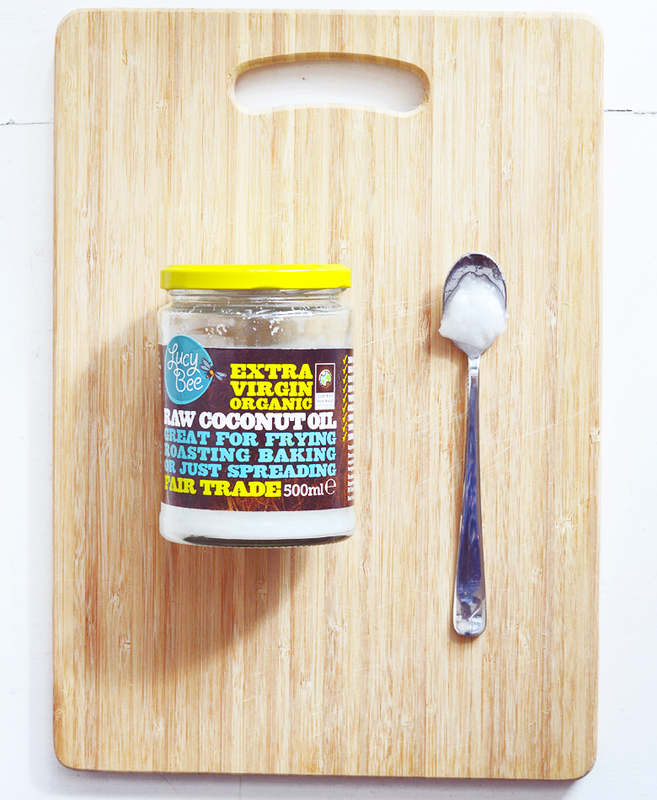 Have you tried oil pulling? Did you notice any health/teeth benefits?